Patrick was a great sleeper, he truly couldn't have slept any better from the age of 5 weeks till 6.5 months. He go down in the evenings when Noah did and rarely wake up till around 7/8am, if he did wake I would always give him a feed as I presumed it was a growth spurt and given that he was under six months I know it's a big expectation to think he can sleep through the night without being hungry. But as I said, it was a rare case he needed feeding. I was elated if I'm honest and completely shocked by it all. In hindsight I believe it was initially due to Patrick being quite a poorly and weak baby, he naturally slept more than most, so by the time he recovered fully and became more alert he was already well used to sleeping so long at night. Controlled crying was never something I even contemplated, as wake up's just were not an issue. Fast forward to January, an almost seven month old Patrick was fast outgrowing his moses basket so we decided it was time to move him to his own room. By this point he would occasionally wake but it was nothing that popping his soother back in didn't fix, I presumed it was due to the fact he was restricted in his basket, so over new year we switched him to the cot. That's when things went a little bit balls to the wall. John being off over the course of New Year lead to a habit of him rocking Patrick to sleep, - we had many words over it as we knew it was a road to sleep association after struggling with a similar problem with Noah, but he did it anyway. This quickly meant that whenever Patrick woke in his own room, by the time I jumped out of bed and rushed through, he was past a quick fix with a soother and he wanted rocking back to sleep. That was fine for a while, until the rocking was lasting thirty minutes and he would either wake as soon as we placed him in the cot, or we would get around 10 minutes shut eye before the cycle started again. 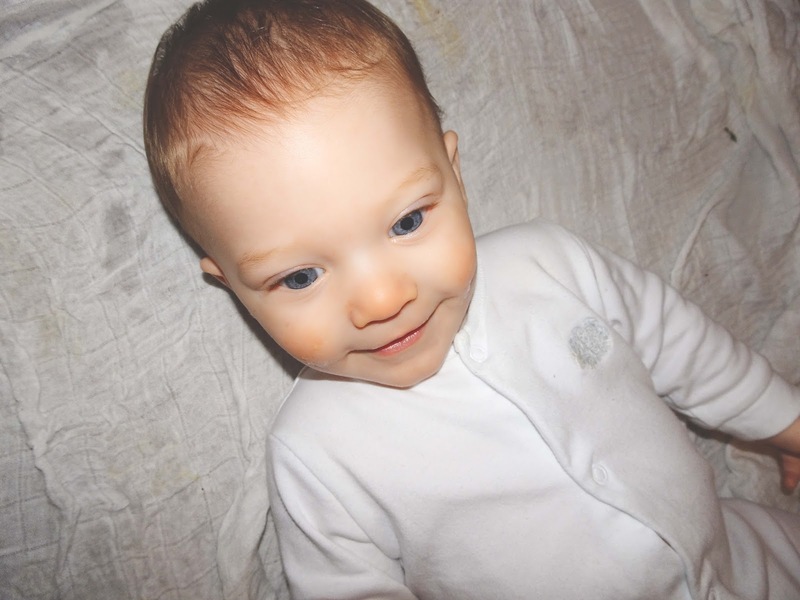 I blamed everything; teething, being too cold, being too hot, a new environment, reflux, everything. You think of an excuse and I used it for him. Before I knew it this little phase had become a habit and we were six weeks down the line with not a full nights sleep. I was exhausted but more importantly Patrick was too, he was cranky, distressed and agitated during the day. He didn't know what he wanted and neither did I. What were we to do? 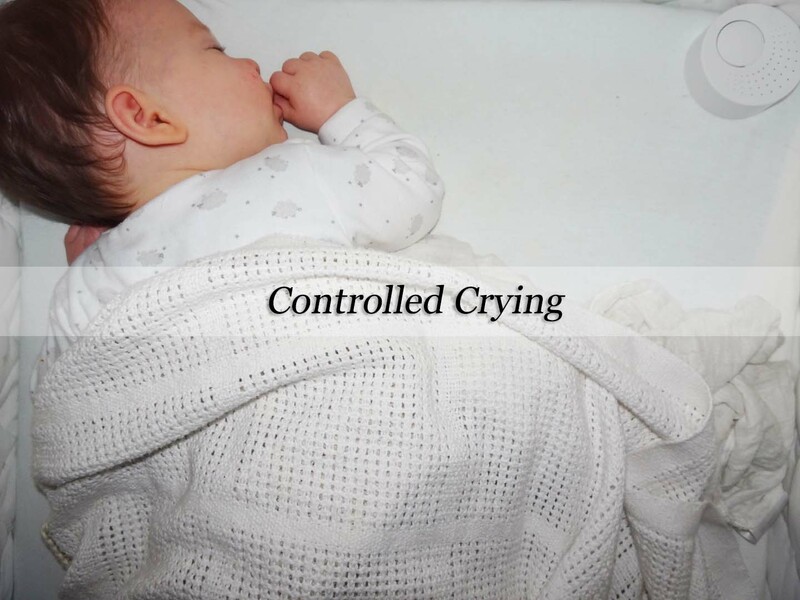 Controlled crying had came onto my radar a couple of times, and I will be very open in saying I thought it was mean. I saw a phrase once that said controlled crying didn't help children to self soothe it simply learned them that no one came when they cried and that completely resonated with me. Now I realise that person didn't understand what controlled crying was, or perhaps used a different method than we did. The first night I tried it was a fail, I guess I didn't really try. I stood outside his door after putting him down and listened to his crying after what felt like forever I rushed in and scooped him up. Fail. Two weeks later, with a return date to work set I knew this couldn't carry on. 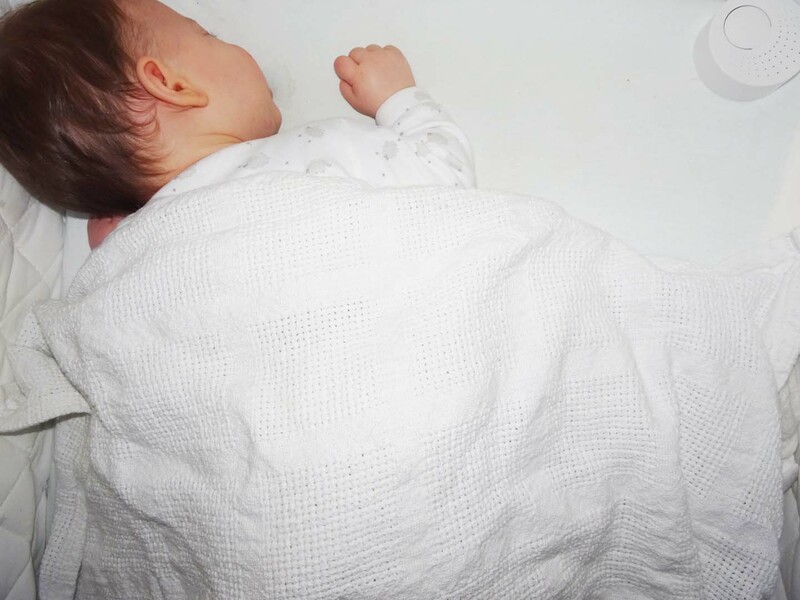 I simply could not drive in rush hour traffic on two hours of unbroken sleep and I couldn't expect Patrick to be content at nursery when he relied so heavily on me settling him to sleep. We had to try again. That lunch time I cuddled him after his milk and I popped him down to bed, rubbing his tummy and kissing him goodnight. I then came away, set a timer on my phone for thirty seconds and I stripped the beds. This was so helpful as opposed to standing at his door as I was focusing on something else - I can do a separate post on tips if anyone is interested. I went in after thirty seconds and kissed him again, then left the room. At first his cry heightened but within around 10 seconds there was silence. I couldn't believe it, absolute silence. I dared to peep after another minute and there was my beautiful boy, fast asleep all by himself. I shed some tears. That night I explained to John the situation and he followed the same routine, we didn't even get to the first resettle as he immediately fell fast asleep. Again, I cried. The relief is unreal, for him more than anything. I was so upset and anxious about returning to work and knowing how distressed he would be at nursery but controlled crying has completely removed that worry. Don't get me wrong even now three weeks later we have the odd night when it all goes a little wrong, and if he is poorly like he was this week with a cough we completely scrap it. Some days Patrick will cry, though I have noticed there isn't actually any tears and it resembles more of a scream, tempered baby and other nights (more often than not) he will settle immediately. I think consistency is absolutely key. I really was very anti controlled crying but it does just show that you really don't know what you can be faced with, and not to knock something till you have tried it. Now in the day time Patrick is happy, content and a jolly little boy to be around, it's true when they say 'Your baby wont love you any less in the morning'. It must be so nerve wracking at first! Glad it has worked out well for you!